This year, my plan to establish a Pannonian Pepper Garden is progressing nicely. Since last year, I have both plants of (a kind of) Sichuan pepper (huajiao, which should be Zanthoxylum simulans) and of Japanese pepper (sansho, should be Zanthoxylum piperitum), as well as my lonely plant of Andaliman pepper (Zanthoxylum acanthopodium). The Japanese pepper (sansho) survived its first winter quite well. Some plants have suffered in the overwintering indoors, frost-free but with little water and in soil that might have been rather too tense and wet. Some plants, consequently, have leaves that look rather chlorotic (too light, possibly indicating a lack of some nutrients). Several plants, however, have come back very nicely. Some young plants were also outside, in a little greenhouse which offered light protection, but still had them get a good frost. They, too, show some freezing or drying back, but survived and are growing again. The better-growing plants show the leaf coloration that seems typical for this kind of Zanthoxylum, which should be Zanthoxylum piperitum, with dark-green leaves showing lighter green coloration in the middle. This Japanese pepper is also recognizably more aromatic than the other, Chinese, variant I have. This is interesting to note as the Japanese pepper’s young leaves are traded as kinome, used as a kind of spring herb that lends a peculiar citrusy aroma and a light tingle to foods it is used in. 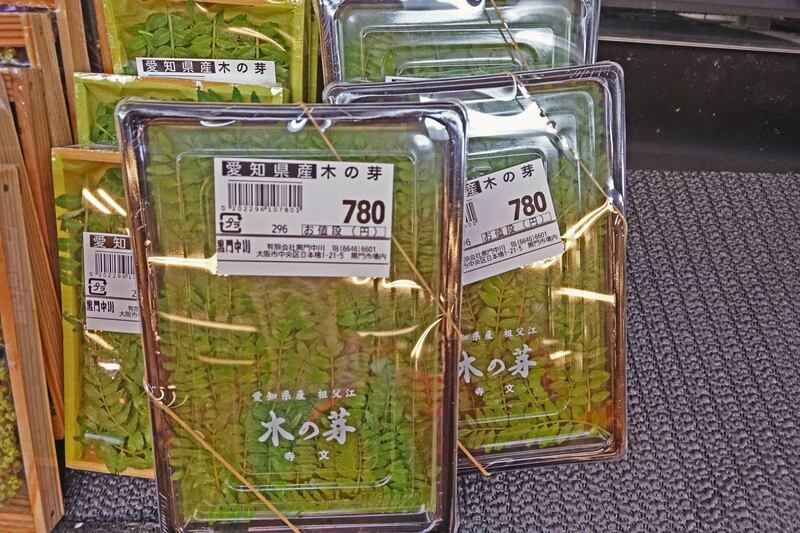 Kinome can be found in Japanese supermarkets (now apparently not just in season – I saw some in Japan in October/November), and it is mixed with miso. That kinome miso has a green color from the sansho leaves, and it has something of the aromatics of such ‘pepper’. From what I have found, kinome miso is especially popular with asparagus or as a basting for grilled aubergine (dengaku nasu). For a spice that has become very easy to find, we actually know rather little about Sichuan pepper, sometimes (in a direct translation of its Chinese name, huajiao) also called flower pepper. Various species grow in the area close to (and in) the Himalayas and are used as spice. 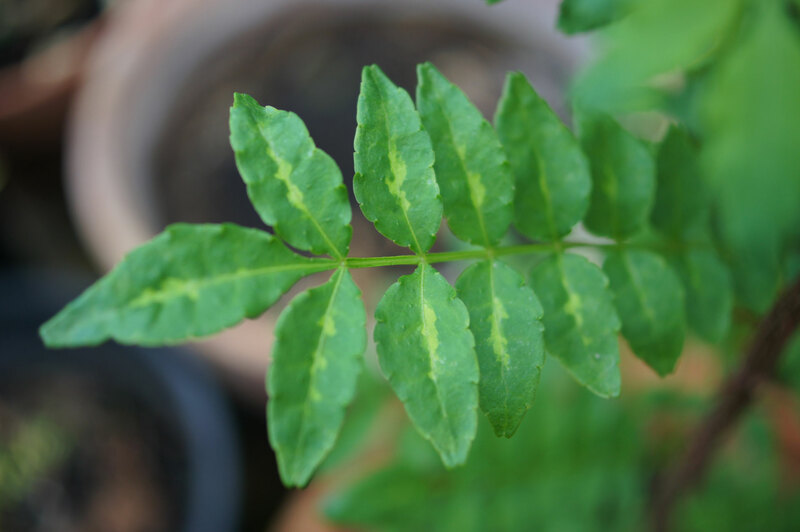 According to the literature, different species should be used for different purposes (and it is clear that it is never Z. piperitum that is grown as Sichuan pepper, even though the one in supermarkets is often labeled like that). That will be a topic for a post of its own, however. 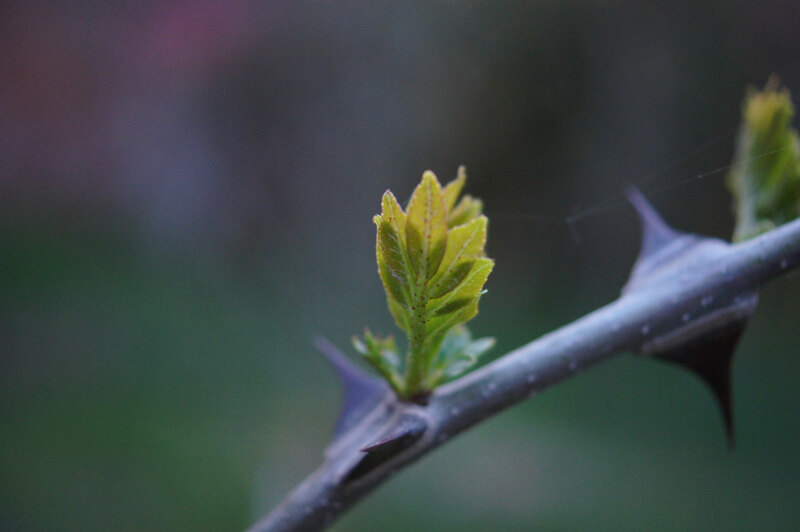 Spring with the Sichuan pepper sees its buds swell and grow very nicely, anyways. 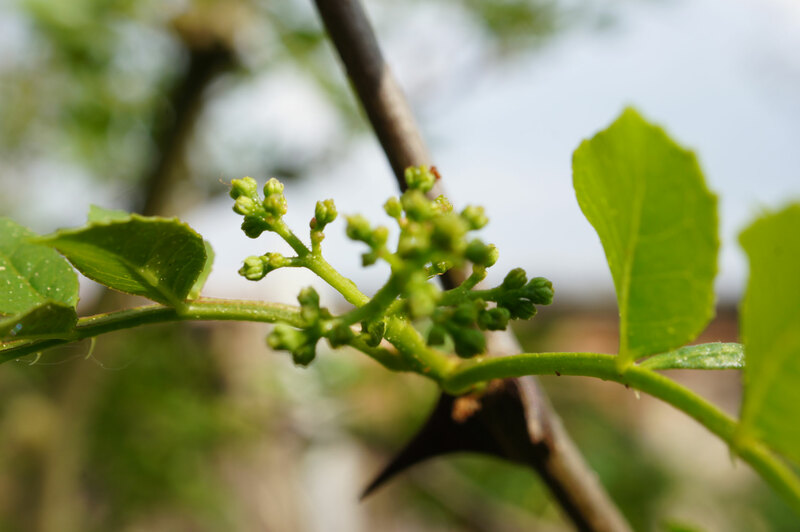 In contrast to sansho, the young leaves of the Sichuan pepper seem spinier almost immediately, flower buds are recognizable very soon. Of course, the difference in flowering also comes about simply because most of my Sichuan pepper plants are a few years old already, 3-5 years on average. The smell of the leaves is recognizable, but considerably less strong than it is from the sansho. As Sichuan pepper is not really used for anything other than (red) Sichuan pepper spice, I find an advantage to this lower strength in flavor; for a beginner and for learning to recognize differences, I think it is actually fine to have a softer and less complex(?) aroma and effect.